THE COOK ISLANDS Football knock-out competition lived up to the hype, providing intense football action and mixed results over the weekend. In the premier men’s match on Friday, favourites Nikao Sokattak were in for a surprise when Avatiu came better prepared for their crucial do-or-die clash. Odds were against Nikao, as they failed to bring structure to the game, allowing an in-form Avatiu to take a 1-0 lead going into the break. Avatiu continued to dominate possession early into the second spell putting pressure on their much fancied opponent. Nikao’s flanks, which proved deadly earlier in the season, were unable to make an impact against a resilient Avatiu defence. Under pressure Nikao conceded a penalty midway through the second half after a defender handled the ball in their six yard box. Avatiu’s Nathan Tisam stepped up and made it 2-0. With 20 minutes remaining in the match, a panicked James Osiramo-squad made some late reinforcements to improve their formation and structure. Their efforts were finally rewarded when youngster Mark Leito pulled one back, but time ran out as Avatiu held on to win the match 2-1. 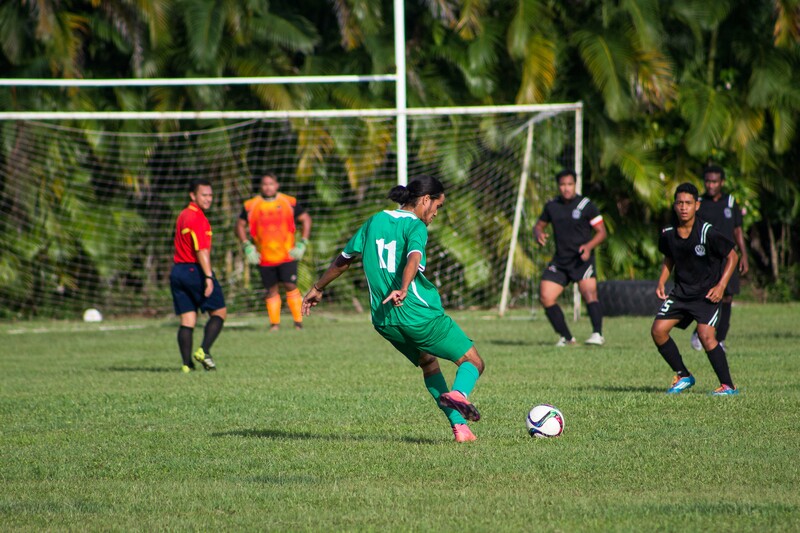 In the other premier men’s matches, Takuvaine defeated Titikaveka 6-2 at the Happy Valley while Tupapa also made it through to the semis after their 2-0 victory over Matavera on Saturday. In the senior women’s division, Tupapa Maraerenga, Nikao Sokattak, Titikaveka and Puaikura will be progressing to the next round, after their victories over the weekend. Results: Under 8 Mixed – Tupapa Maraerenga FC 8 Nikao Sokattak FC 0, Puaikura FC 0 Takuvaine FC 2, Avatiu FC 3 Matavera FC 0; Under 11 Mixed – Puaikura FC 3 Nikao Sokattak FC 0, Takuvaine FC 0 Titikaveka FC 2, Matavera FC 1 Avatiu FC 0; Under 14 Girls – Nikao Sokattak FC 0 Puaikura F 2, Titikaveka FC 1 Takuvaine FC 0, Avatiu FC 3 Matavera FC 1; Under 14 Boys – Puaikura FC 4 Matavera FC 0, Avatiu FC 0 Nikao Sokattak FC 15, Tupapa Maraerenga FC 13 Takuvaine FC 0; Under 17 Men – Avatiu FC 2 Tupapa Maraerenga FC 0, Titikaveka FC 5 Puaikura FC 6 (Penalty Shootout), Takuvaine FC 6 Matavera FC 7 (Penalty Shootout); Senior Women – Puaikura FC 2 Titikaveka FC 3 (Penalty Shootout), Tupapa Maraerenga FC 1 Avatiu FC 0, Takuvaine FC 1 Nikao Sokattak FC 6; Premier Men – Avatiu FC 2 Nikao Sokattak 1, Takuvaine FC 6 Titikaveka FC 2, Tupapa Maraerenga FC 2 Matavera 0.